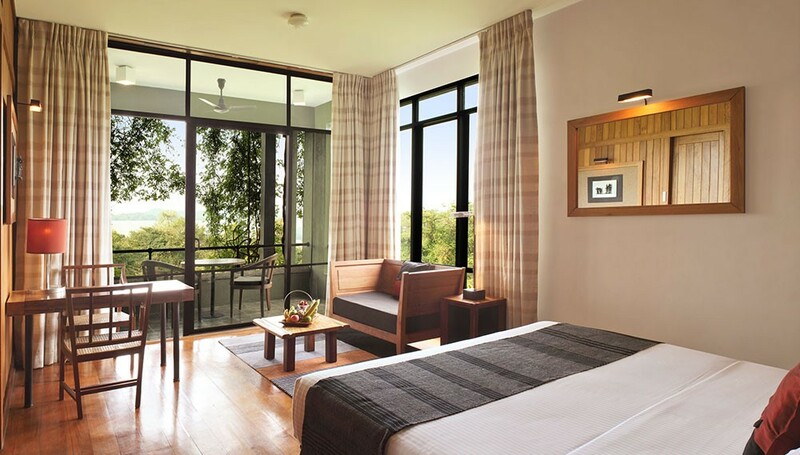 The continuous lines, ceiling-high windows, and neutral colors, and mother nature that has wrapped her arms around the five star Heritance Kandalama- best known as Kandalama Hotel, blend so effortlessly with the surrounding landscape, of man made lakes, the thick green wilderness and the aura of mountains afar. The resort gives the impression of having always been there, benefiting of the wonders of the nature. Nestling in the midst of trees that flourish in the presence of the Kandalama lake and the Sigiriya Fortress, the property lies within a man-made wetland and nature reserve for hundreds of species of birds, mammals, butterflies, and amphibians to call home. Its is in fact one of the luxurious, world renowned, eco-living hotels in Sri Lanka. In fact it is one the many fabulous creations of the world famous architect, the late Geoffery Bawa. Nothing beats the views of all the rooms available in Heritance Kandalama. Whether it’s the superior room, the luxury panoramic room or the Royal suite, the best of views are offered to its nature loving guests for their choice. The unbeatable morning sceneries and sunsets are breathtaking. From hearing birds chipping to, tree leaves rustling with the tempting winds to monkeys dancing and chattering are authenticities of a jungle stay. As Heritance Kandalama team say it is ‘beyond the ordinary’. For whether its family, honeymooners or business, Heritance Kandalama has its choice to make your holiday the most luxurious, timeless and comfortable in the wilderness of Dambulla. 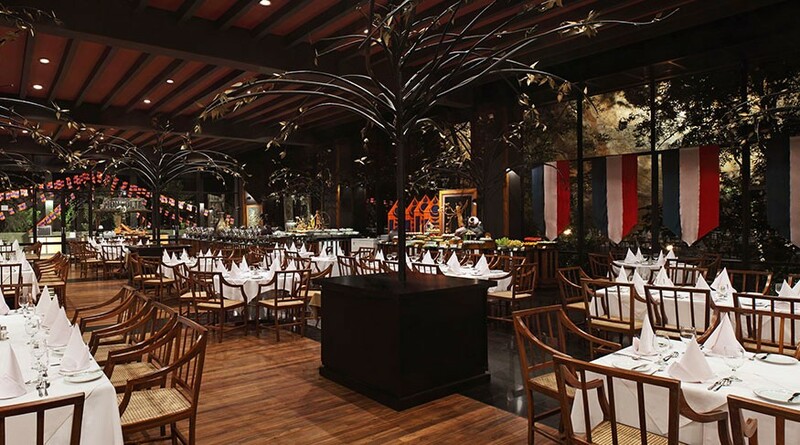 Dinning at Heritance is next to normal, it is indeed extra-ordinary. Heritance Kandalama with no doubt offers guests the best dinning experience with its in-house restaurants and the exclusive dinning options which come handy on your request, taste and preference. Speaking of which, Heritance Kandalama has two of their signature restaurants to offer you, The Kanchana and Kaludiya Restaurants. 6 Levels above, offering spectacular views from its ceiling high glass windows, the Kanchana Restaurant is Heritance Kandalama’s main dining area. From Traditional Sri Lankan cuisine to international cuisines, Breakfast, lunch and Dinner spreads are extensive and tempting as it can get. The nightfall dining experience perhaps is untouchable, where music awakens your soul, star stunned skies bless your eyes , and barbeque sizzling waters your mouth. Put your glam on and join Kaludiya Restaurants on the 7th level, where nothing surpasses the very best of fusion cuisine here. 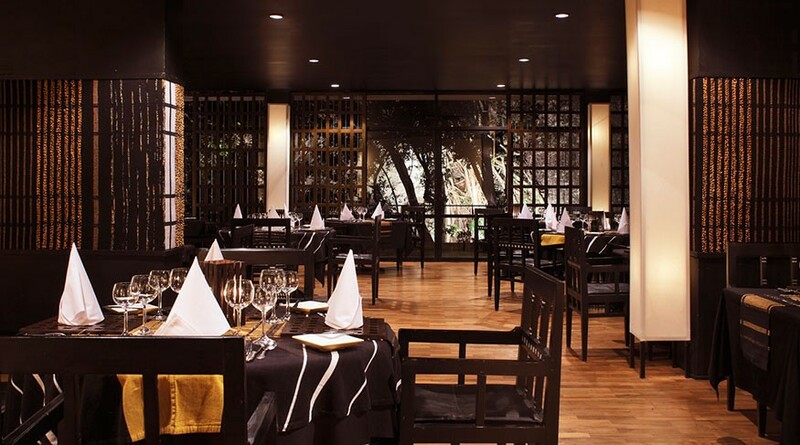 The extensive selection of wine with a globe trotting dinner spread is what Kaludiya offers its guests at its very best. From morning to Midnight, with your favorite flip-flops or shorts, here’s a sit back, relax, and unwind to sip on your favorites at Kachchan Bar. From its signature cocktails to your own choice here’s yours go to place to get your spirits high. 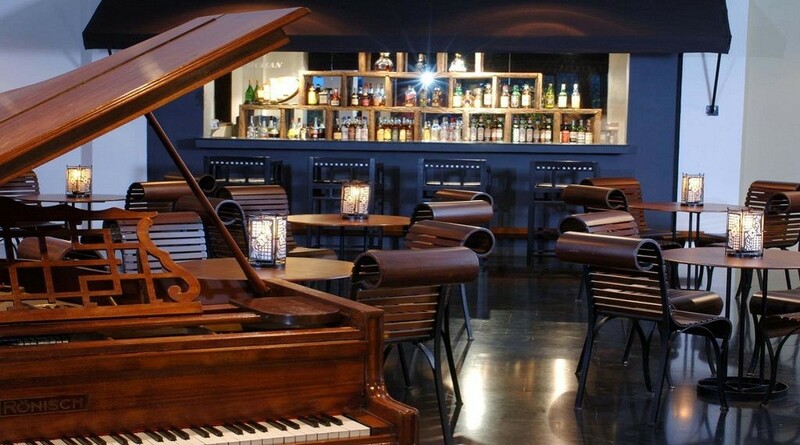 Heritance Kandalama offers you what is called ‘next to normal’ just as we mentioned before. Guests are able to have their own customized dinning experience with team Heritance Kandalama just a call away. 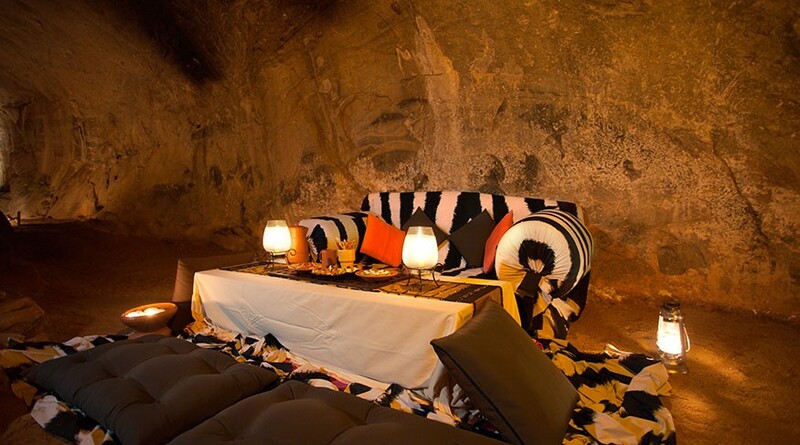 Its most famous candle lit dinner in the cave is truly an experience undiscovered. Staying at Heritance Kandalama comes handy in your favor always. Ayurvedic health care, indoor games, tennis, billiards, horse riding, canoe rides, elephant back trekking, bird watching, nature trails, cycling, nature photography, botanical studies, and the latest Hot-air Ballooning are some of the top attractions of the hotel. Not to mention, waking up to worship sunrise with your morning Yoga routines are just simple, scenic and sensational. Here’s few more go-to places that should be added into your personal itinerary when in Kandalama. Yes, it seems like a lot, but don’t worry we got you. Hit-up Blue Lanka Tours to keep your itinerary in check when you visit Heritance Kandalama. Why afford to miss the best of what you can do, when we are ready to guide you through.